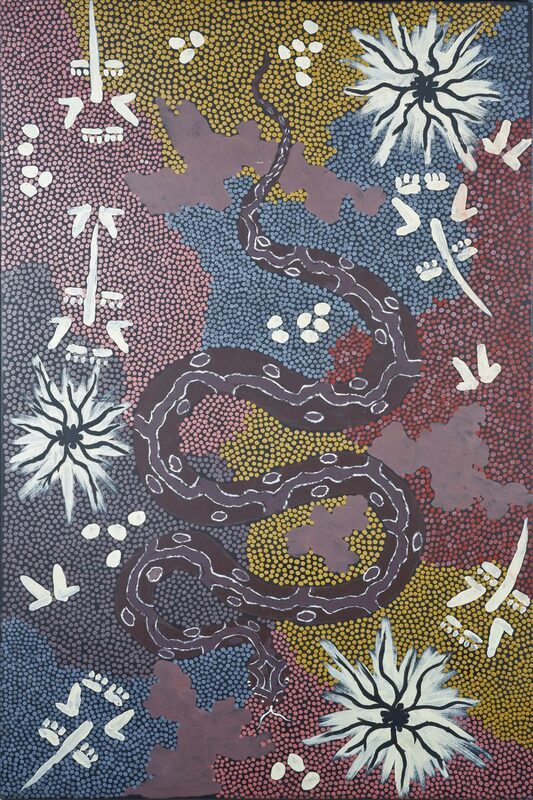 Clifford Possum Tjapaltjarri (c1932-2002) Snake Dreaming, Acrylic on Canvas. Provenance – Solander Gallery. Online now at Allbids.com.au closing 27th March. For decades, Sydney and Melbourne have been the place to go for those keen to buy and sell second-hand art. The large auction houses in the major cities are well-known for their extensive art collections, and regularly attract buyers from all over the country. But they’re unlikely to be attracting as many Canberrans lately, with ALLBIDS announcing that the volume of art moving through their popular online auction platform has increased ten-fold. For the first time, ALLBIDS is having to run their art auctions in separate lots as the major auction houses do, with an overwhelming number of sellers choosing to consign artworks locally. Their latest art auction – featuring a collection of Aboriginal art and a collection of Australian and international art – has been split across two sessions ending on the 27th and 28th of this month. Expert art and antique appraiser Andrew Whitehead, who used to work at major Sydney auction house Lawsons and now works with ALLBIDS, says this is great news for our local art scene. “There has always been strong demand for art in Canberra, but most of the local collectors chose not to buy or sell here. However, with an established track record for achieving market-leading results, they are now opting to buy and sell through ALLBIDS. 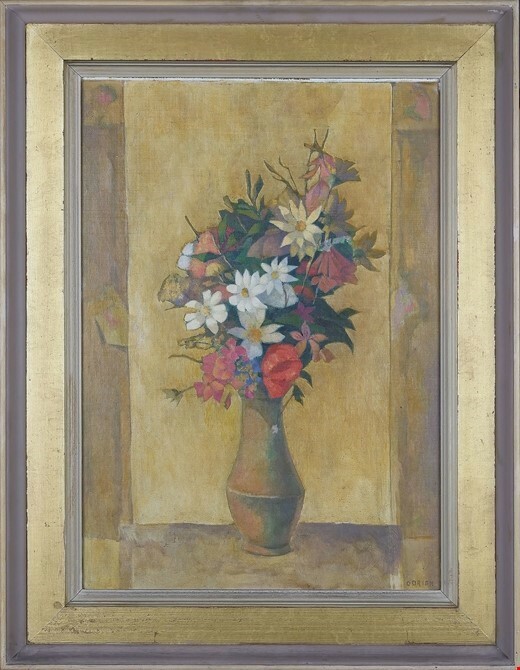 This Justin Maurice O’Brien (1917-1996) Wildflowers Greece 1965 Oil On Canvas sold for $24,500. Andrew says there is particularly high demand locally for Aboriginal art, which is why ALLBIDS is running its first stand-alone Aboriginal art auction. “Online now are two works by arguably our most renowned Aboriginal artist, Clifford Possum Tjapaltjarri. “Possum’s artworks played a crucial role in the establishment of the Artists’ Resale Royalty Scheme, after a painting he sold for a modest price was later re-sold for a staggering $2.4 million. This sale, and others like it, fuelled a debate that artists – particularly Aboriginal artists – were not being appropriately rewarded for their work. It also exposed issues of authenticity and allegations of bullying and abuse that culminated in Possum testifying in court. “Artists can now register for the scheme and receive a royalty every time their work is re-sold. The industry is doing more to protect artists, which is fantastic. Most reputable galleries consign works, rather than buying them, and provide artists with a decent cut after the sale. The Aboriginal art auction and Australian and international art auction end Wednesday 27 and Thursday 28 March respectively. Visit ALLBIDS to see and bid on the works.